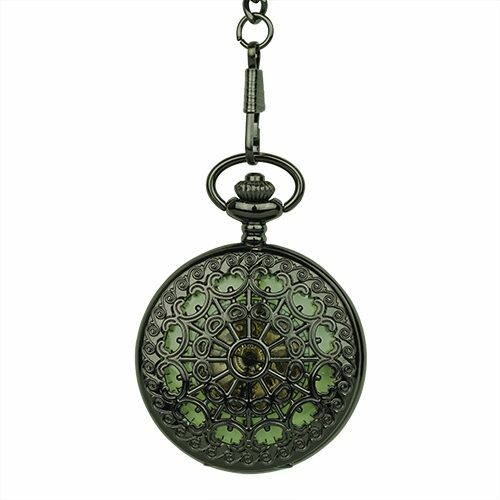 Black Floral Filigree Roman Fob Watch - Fob & Co. 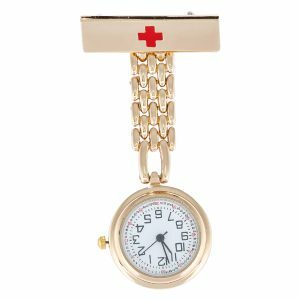 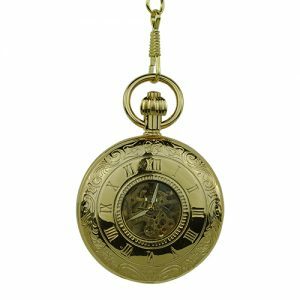 Things don’t get more classically good-looking than a pocket watch featuring traditional Greek symbols in a web-like design. 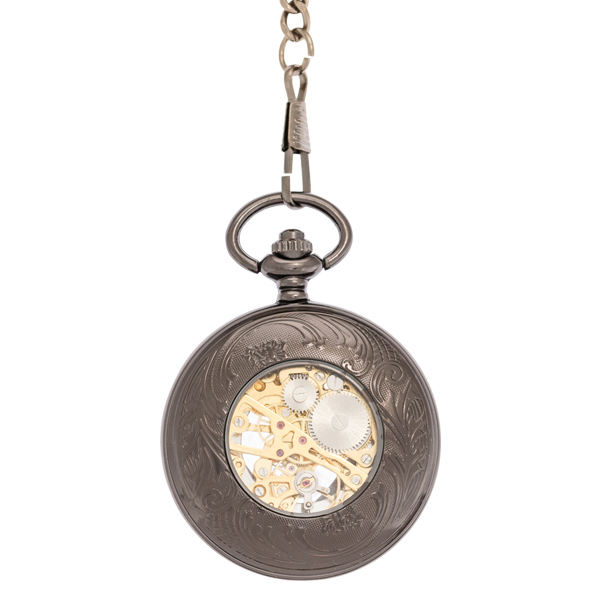 Inside you will find black Roman numerals on a white background while at the centre is a beautiful, gold skeleton. 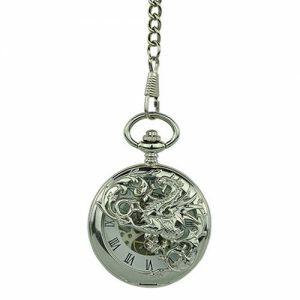 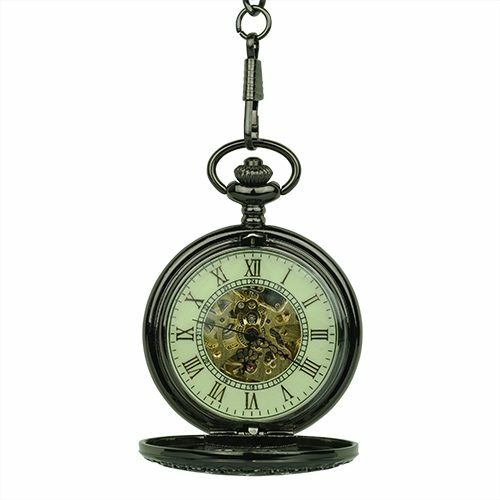 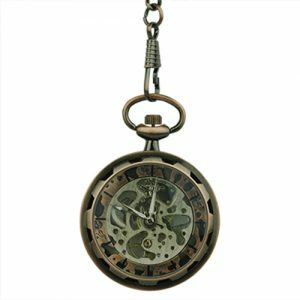 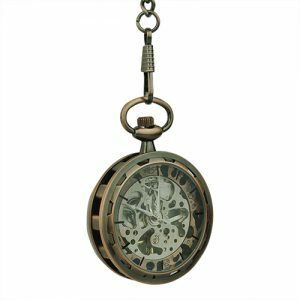 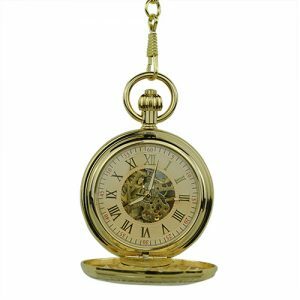 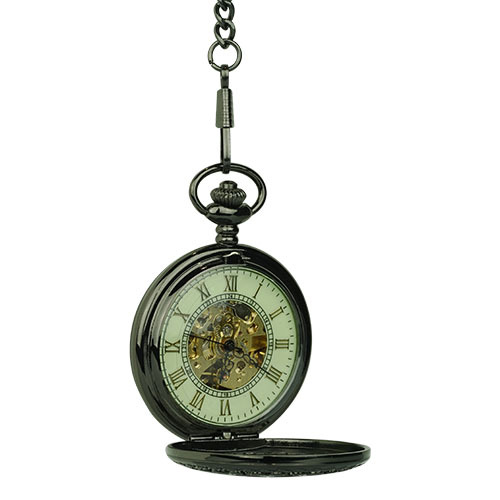 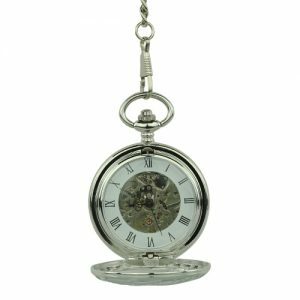 Turn this handsome pocket watch over to see a wonderful floral pattern and a small window with which to view the inner workings.